Mastery over just 3 time management activities – 1. how to set goals and priorities, 2. how to focus on your important work, and 3. how to get things done – will boost your efficiency and effectiveness to a higher level of performance, reduce your stress or frustration, and transform your level of success. What’s the one thing we all have in equal measure – but always want more of? T I M E.There are 24 hours in your day – and mine. If you understand time management activities like how to set your priorities and goals, how to focus on your important tasks, and how to delegate, automate or ritualize until you get the job done, then those 24 hours are more than enough. On the other hand, if you’re constantly struggling to fit your to-do list into a hectic, over-crowded schedule and hope that you had an extra three hours in your day, then you need to master these time management activities right away. So, once you accept the reality that everything can’t get done, you need to hunker down to develop a system that ensures that the most important things don’t get missed out. For that, you must know what things, goals and people take a higher priority than others. Thus your time managing activities begin with setting goals, and then prioritizing them. All your goals must fit these 3 criteria if you are to manage your time effectively based on them. When you know what your desired areas of impact are, you can then rate them on their level of importance. For example, you may crave an ice cream cone today, but also have a complex accounting worksheet to finish. If your priorities are set correctly, and getting the job done will take you closer to your bigger goals, then putting off the ice cream treat for later is an easy choice to make. We live in a world where there’s distraction all around. No matter which way you turn, something or the other clamors for your attention. And because grabbing attention has become critically important to the survival of so many entities – businesses, charities, services, and people – their skills at attracting your interest have grown better. Catchy advertisements are designed to draw you to seek more information. Sensational headlines are structured to make you stop and read or watch. Dramatic deals and discounts are intended to get you to pull out your wallet. And poor little you is caught up in the middle of all this chaos and clutter, trying to carry on with your work and get things done. I understand and empathize with you. But keep this in mind. Others just like you are facing these same distractions – and yet are able to concentrate long enough to get their work done. If they can do it, so can you! There’s a lot more about being able to focus on the biggest tasks, which we’ll get into in other sections of this site (and in the Ming Vase Time Management series of books about “How To Focus“). Many people find themselves bogged down and frustrated even after adopting some effective time management activities because they run into unexpected road-blocks that keep them from getting things done. The biggest mistake they make is trying to do it all by themselves. Accepting more than you can handle, aiming to prove that you can tackle everything on your plate, and stubbornly refusing assistance from better qualified people are errors that will keep you stuck and hold you back from efficient use of your time. Admit that you have limits. Accept that you are good at some things, while others are better at some. Realize that inter-dependence is a necessary strategy in getting things done. These are general principles. They will need to be adapted to fit your unique needs and circumstances. But every industry and household, every individual and group, every organization or entity will find applications of these general principles to their specific activities. The key to mastering these 3 techniques – goal setting and prioritization, focus and concentration, organization and delegation – is constant intentional practice. You will not get things right the very first time. It will take repeated attempts to develop a functional system. You will make steady, incremental improvements. You’ll get better, quicker and more efficient over time. And as you master these three powerful time management activities, you’ll find that you are no longer constantly in search of extra time. In fact, you may discover that there were 3 extra hours lying hidden in your day – and that they are now available for you to enjoy doing something you’ve always wanted to! You can also receive more free tips about how to save time and gain higher effectiveness by joining our mailing list to get the “Time Taozine”. Just fill in the registration form below. Learn Time Management Techniques To Skyrocket Productivity, Lower Your Stress & Improve Your Results – Starting Right Now! Time management training can help you get more out of your day, and cope easily with the stress and overload that has become a daily part of your existence. By learning how to manage email, juggle projects, balance time and attain harmony between all components of your life, you will eliminate anxiety and frustration to achieve peace and calm amidst the bustle and rush. Time management training involves learning how to prioritize your task list and ensure that everything you do is productive. You stop letting other people control your time, and are no longer willing to let bad habits drag you down or hold you back from achieving your true potential. Time managing training will guarantee that you will be much more efficient and effective than even more intelligent people who operate in a random, non-systematic and disorganized fashion. Do You Need Time Management Training? Time management training programs and skill development courses will definitely help you achieve these goals and more. You will become more productive while working less and enjoying lower stress and anxiety. Your motivation and satisfaction levels will soar and you’ll find yourself enjoying what you do when everything moves towards a specific goal and purpose. What Do Time Management Training Courses Teach? For most people who struggle to deal with time efficiently, the main distinction to learn is between being ‘busy’ and being ‘productive’. Good coaching programs teach this, and show how to focus on the highest priority activities that take you closer to your major goals. Other areas of focus include priority setting and avoiding time wasting behavior, as well as overcoming procrastination. The training program will also show you how to deal with interruptions, turn down demands on your precious time, plan ahead for success and develop your personal effectiveness by getting things done. Delegation is another major element of time management training, and you will see how this frees up your time to let you concentrate exclusively on the productive zone activities, ignoring the fruitless and time-consuming activities that take up most of your current working day. How Does Time Management Training Work? There are different ways to impart the same kind of coaching, and your ideal training program will be tailored to the way you learn best. In most typical courses and programs, the trainer will begin by explaining each component with specific case studies and sample scenarios so that you understand the principle. Then, there are time management exercises where participants practice on each other, handling mock ups of real life situations to show how to save time and enhance productivity. Some exercises will involve interaction with the trainer. Attendees at the program will get transcripts, worksheets and usually some time management tools which help implement the lessons being taught. Some programs will help you develop a set of goals and a full action plan to implement after you return back to work. A few even offer ongoing phone consultation and/or in-person supplemental sessions as necessary to clarify doubts and refine the time training process. Why Is Time Training Helpful? Imagine your transition from a lifestyle of stress, pressure from deadlines, and a constant feeling of catching up with your backlog, and shifting to a place of harmony, calm and enjoyment of your work. Proven time management training can help you attain fulfillment and results that you deserve. You’ll cut yourself free from an oppressive and demanding to-do list, and create your own purposeful and focused action plan. If more and more demands on your personal time are leading to a constant struggle and spiraling stress, then you need the foundation a time training program can offer. Time Management Tao offers a lot of free training on other sections of this site, as well as in-depth Ming Vase Time Management guides such as “How To Focus“. For more time managing tips and secrets, sign up to our free weekly “Time Taozine” by filling up the registration form below and clicking on SUBMIT. Attention: All students. These time management lesson plans can boost your success dramatically. Control your schedule, manage email and deal with papers and files in a way that skyrockets your productivity. If you are to succeed, you must understand and appreciate the value of time. Here’s how to get started. Time management study tips for students can help meet this and achieve success against the odds. These lessons have the potential to completely revolutionize the way you think about managing your time. Time management studies are used by big businesses and companies who value productivity and efficiency highly. If you find yourself rushing to meet deadlines and completing projects in the last minute, then you’re going to love learning about this. Learning time management easily ranks as among the most important things you can do in your life. Age-old time management teaching presented in an all-new way – to transform your productivity. Learn time management today. It will make the difference between success – and inefficiency. This time management website will transform your life and skyrocket your productivity. Entrepreneurship is an exciting challenge. But it isn’t right for everyone. Find out if you’re a good fit. Time Management Powerpoint presentations designed to impress, educate and skyrocket your efficiency. We all want magical time management tools that’ll give us back control of our lives. But the tools you need don’t have to be magical – just logical. Here are 5 ways to alter your perception of time management and win back 3 extra hours (or more) in your typical day, to avoid stress and find harmony in your life. Time management tools are versatile, diverse and powerful – but only if you know how to leverage their power. No tool or device can give you back control over your life and inner peace. That’s up to you. And by following the Time Management Tao principles, you are moving in the right direction. Let’s look at 5 simple strategies that will help you clearly define and refine your approach towards managing your time better. Too often, your problem of overwhelm comes because of too much clutter in your life. You don’t know what is truly important, in the context of your bigger, lifetime goals. So auditing your own life and dreams begins by assessing the relative importance of things you are engaged upon. Once you know what really matters, you can prioritize the tasks related to it so that they get done early in your day, or at the time when your energy levels are highest. It is also easier then to ignore less important things. For instance, if the phone rings when you’re engaged upon critical tasks, you can ignore it without guilt or anxiety because you know it is just a distraction. There will always be events and people in your environment who interfere with your focus. Partly the problem lies with you, if you draw up unrealistic to-do lists, or over-commit on promises to do things for other people. Coupled with the tendency to procrastinate and other psychological blocks that all of us face, this can become a serious drain on productivity. Time management tools can help overcome these hindrances. It pays off richly to analyze how long it takes to finish your important tasks. Often you’ll discover that when you know how quickly something can be done, your inclination to put it off for ‘later’ is replaced by a desire to just get it done right away. Also, when you draw up to-do lists of your important tasks and prioritize them correctly, add a column mentioning your time estimate to get it done. That helps you stay on track to finish your task list, and can be a significantly powerful time management tool. Of the items that make it on to your to-do list, there will be some that do not belong there. Find them out and eliminate them right now. Then look at the tasks which are of very low priority, and either schedule them for later, or place them at the bottom of your list. If they don’t get done, you won’t lose much. What’s left is work that matters. The next question to ask yourself is whether you need to handle it yourself, or can it be delegated to others on your team. If it can, delegate. This frees you to focus only on work that is both important, and needs your personal involvement. Finally, guard your to-do list fiercely by keeping trivia and non-essential tasks off it. Learn to say “No” to others. Avoid unnecessary meetings. Keep conversations brief and to the point. All of this saves precious time. Time management tools can’t do this for you, because everyone has a different and unique ‘big picture’. What matters most in your life? Try and fit the biggest goals into a few broad categories. Try and limit this to six heads. Then, for each category, list out your big picture goal. For the financial category, this goal may be a number – e.g. $2 million before retirement. For health and fitness, it may be “I want to lose 20 pounds and walk 3 miles daily”. 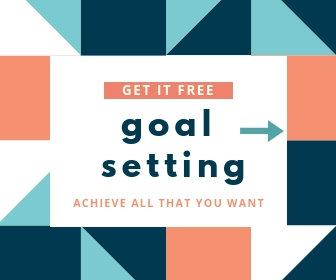 Knowing your big picture goals, the next step is to decide upon the 3 most important actions that will take you closer to them, and start working on them right away. Using time maps and planners as time management tools is a visual and effective way to keep yourself on track. They can help you group related activities together and schedule them for better efficiency. When something on your to-do list doesn’t match the map, eliminate it. Mapping and planning your time helps assign a place and schedule for each item. As you progress towards your goals, review your performance and modify the approach suitably. These simple time management tools can help you milk higher efficiency out of your busy and overcrowded day in a surprisingly short time. For more time management tips and secrets, explore the rest of this site and sign up for the “Time Taozine” newsletter (it’s free). Just fill in the registration form below. Time management sheets are very helpful tools that guide you to calculate the value of your time. Learn how time management templates can help organize your work day and manage your to-do lists. Some of the best hand-picked tools for time management and improved productivity. How To Stop Procrastinating – Today! Procrastination is a deadly habit that can cripple your productivity. But with these 10 simple and easy steps, you can beat the habit and stop procrastinating ever again. Get ready to say goodbye to it – and take the brakes off your inbuilt success rocket! We all waste time. The more effective among us waste less of it – and squeeze more productivity out of the same 24 hours that all of us have in a day. If you’ve been a victim of the procrastination habit and felt frustrated or upset about not being able to get more done or wish to discover how to focus better, then these 10 simple steps will set you free.